Whichever service you choose, Charlotte Comfort Systems will handle your experience with professionalism, timeliness, and gratitude. We genuinely care about our customers and always make them our #1 priority. The Kings of Air Conditioning Comfort! Charlotte Comfort Systems knows the ins and outs of everything air conditioning and heating. No matter the service, no matter the time, one of our experienced technicians is happy to help. With all of our amazing AC products to choose from, the possibilities are endless. We have the equipment for you, at a price you can afford. The summers in Charlotte are beautiful, but they can also be a little uncomfortable at times. High humidity and high temperatures can lead to a very bad afternoon. Luckily, Charlotte Comfort Systems is here to keep you cool, and keep you comfortable. 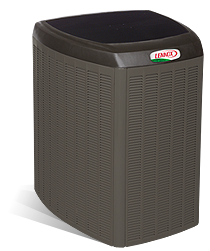 We have a wide range of AC products, from the best brands in the HVAC industry. Whatever air conditioning or heating issue you have, we have your solution! Contact us today!